The once-rural Amsterdam-Noord area is now an autonomous district of the Netherlands’ capital. 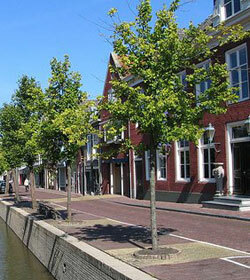 It is north of the river IJ, next to Zaanstreek, which had the distinction of being the world’s first industrial area. Noord did not follow its neighbour into industrialization until the 19th century, and remains quite green. Today, Noord has shipyards, factories and chemical firms. It is separated from the rest of the city by the IJ, but can easily be reached by ferry. The rise of industry also increased the number of residences in Noord such as Spreeuwenpark and Tuindorp Oostzaan. With their gardens and cottages, these retain the rural charm of the old Noord. Modern neighbourhoods with thousands of homes such as Banne Buiksloot, Nieuwendam-Noord and Buikslotermeer sprang up in the district after the 1960s. In the last decade, four more neighbourhoods have been developed.